Mavin Community - Women and Money Inc. The Mavin Community’s vision is to educate women to financially strengthen their relationship with money and inspire other women to do the same. Our Money Mavins are women who become secure with their money relationship – business and personal. Accumulated knowledge and mentoring from trusted resources and programs cultivate the Financial Mavin Within. Personal truth – If you love money, then how come you don’t have any? Delivery of our objectives online and offline involves solutions through learning, inspiration and trusted resources, as well as programs to take ownership of one’s money relationship. 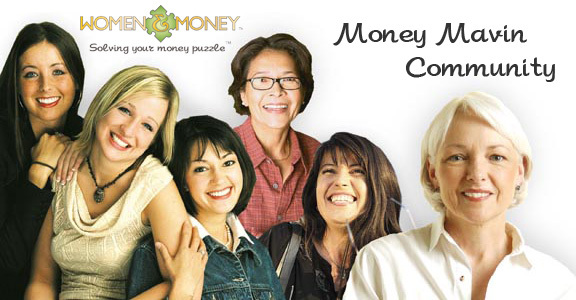 Money Mavens mentoring other women to cultivate their Maven Within.